Scott McKenzie, head coach of Widnes Wild, has today announced the return of Wild stalwart Ken Armstrong. Ken was one of the first players ever to sign for the Wild back in May 2013 and has shown his commitment to the Black and Gold of the Wild ever since. 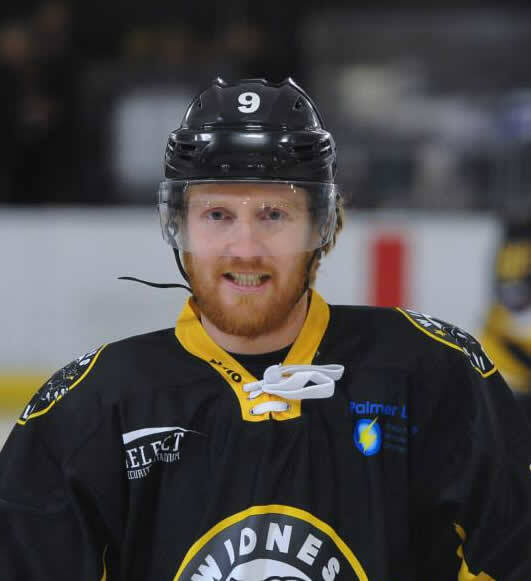 Wearing the number 9 jersey Ken is a versatile player who is an important element of the dressing room and a go to guy on the ice. Having been part of the club from the first game Ken is excited about the direction the Wild are going in and desperate to remain a part of it. Ken’s home and away shirts are available to “own and loan” with full detail available here. Ken duck is also looking for a new owner and more information on duck ownership can be found here.